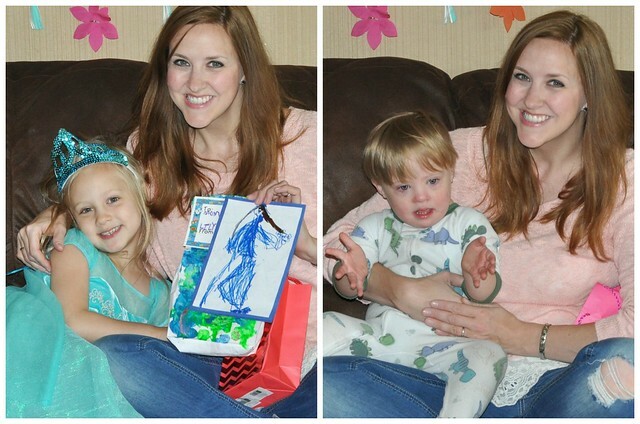 I had the best Mother's Day weekend with my little family! 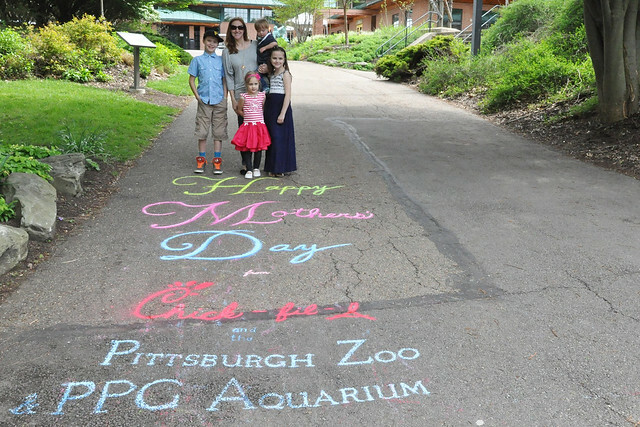 We started the celebration early by attending a Mother's Day Brunch with Chick-fil-A at the Pittsburgh Zoo on Saturday! Chick-fil-A generously offered my family tickets to the event to say thank you for the work I did with them earlier in the year. We are huge fans of both Chick-fil-A and the Pittsburgh Zoo & PPG Aquarium, so we were very excited to go! The food was delicious! There was a separate buffet for the adults and the kids, so everyone was happy. Liam loves the Superfood Side from Chick-fil-A, so he gobbled that up. Yep. 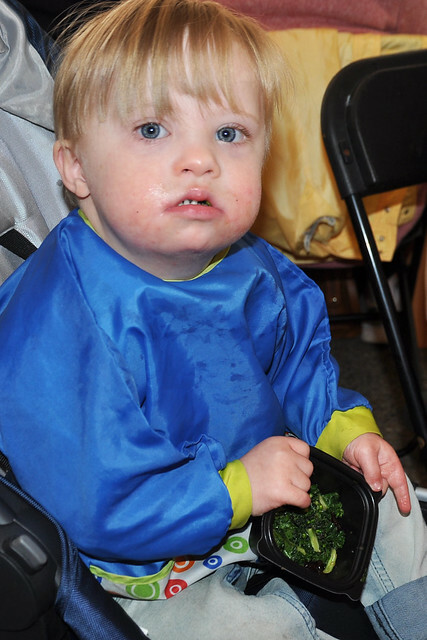 The kid loves kale! He is definitely a unique child. He loves salad, so that's what I order for him when we go out to eat! 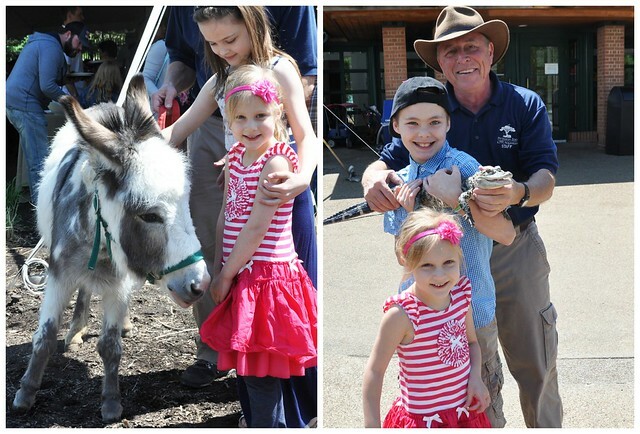 After we ate, the kids had a few up close and personal encounters with some zoo animals! There was live music, so Liam did some dancing, the kids could make a Mother's Day card, and they also had canvases to paint. 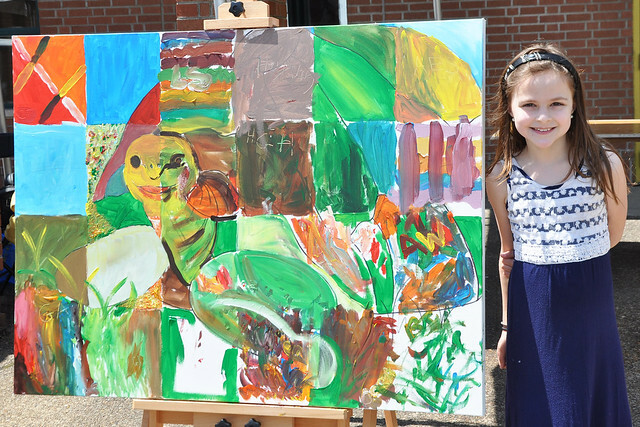 Dylan and Lexie each painted two squares! After eating ice cream sundaes from the ice cream bar, we made our way through the zoo and aquarium. 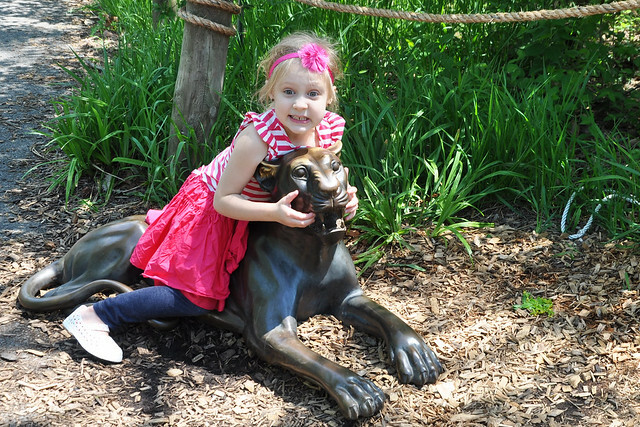 The weather was gorgeous, so it was the perfect day for a zoo visit! 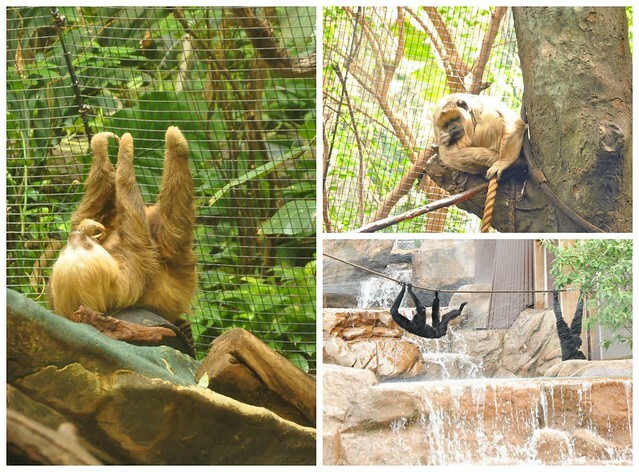 I took plenty of pictures, but I'll just share my 3 favorite animals of the day! I think I fell in love with the monkey on the top right. Just look at that sleepy pout! We had a great afternoon exploring the zoo! Grant did, however, discover why I always travel with so much stuff. Liam was being incredibly patient in the stroller, but after we crossed a swinging bridge, he kept looking back at it. I felt bad, so I got him out of the stroller and walked across with him. As we got to the other side, I looked down and realized my shirt was covered in poo. Liam was in even worse shape. We were on a wooden raised walkway above the zoo with no bathroom in sight, so we stopped, dropped and got to work. After a complete outfit change on Liam, a shirt change for me, and a scrubbing of the stroller straps with baby wipes, we were back on our way. And that's how my husband learned to just go with the flow! Other than that minor snafu, we had a great visit! 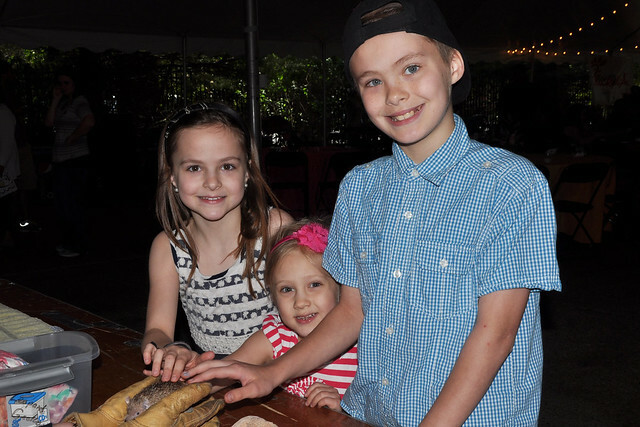 We'll be returning in one short month for Dream Night at the Zoo, as Liam's special guests! Our trips to the zoo always tire out our kids. 3 out of 4 fell asleep on the way home, so the car ride was very peaceful! That evening, Liam and I did some shopping. When we returned home, a friend was visiting. We spent the night playing card games. It was a lot of fun! After our busy Saturday, Mother's Day was more relaxed! I slept in and I was woken up with brunch in bed. Dylan, Lexie and Lily made it on their own, and they even made me a card to go with it. I loved my scrambled eggs, toast and hot tea! That afternoon, they spoiled me with gifts they made for me in school and little items they picked out for me. Dylan bought me an armband to hold my phone while I run. He knows me well! 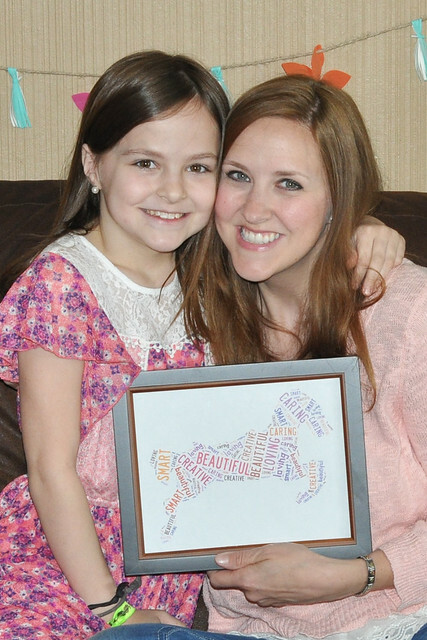 In addition to the flowers in the homemade pot that Lexie brought home from school, she made me an awesome horse, created from words that described me. It was so special that they decided to buy a frame for it. It's now hanging on my gallery wall! 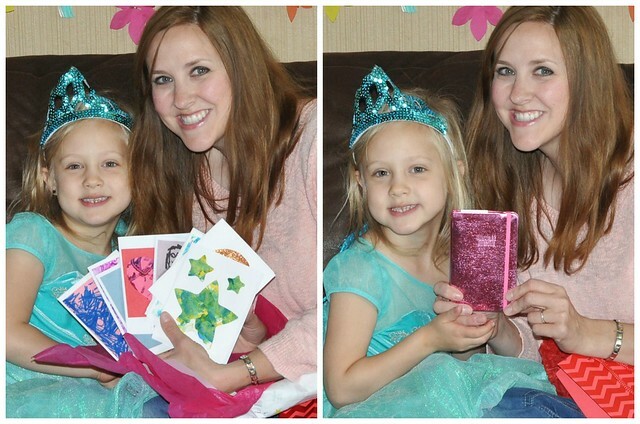 Lily made me some really special cards at school using her art work! She also gave me a pink sparkly journal because I love pink and I love to write. She is correct! Liam gave me some little notepads. I'm always making lists, so I'll definitely use them! Without a doubt, my favorite gifts are the handmade ones! That card from Lily? I mean, it's pretty awesome that I'm only 16! Later that afternoon, we stopped by to visit my mom. It was just a short visit, but I'm glad I got to see her! On our way home, we picked up some takeout from our favorite Chinese restaurant. My only rule for Mother's Day was that I was NOT going to cook. We followed through on that one! I had such a wonderful weekend with my husband and my four loves. 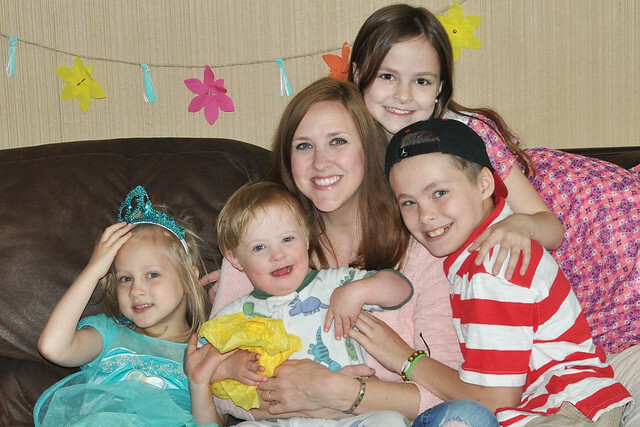 Motherhood is an incredible journey and I am so thankful to be their mama! Happy Mother's Day to all the amazing moms out there! I hope you had a wonderful day! Wow girl! You guys had a great weekend! The zoo event sounds like a blast, minus the poo situation. Ha! Love all of your gifts from the kids. So special. The poo situation wasn't that much fun, but we've learned to roll with the punches! Haha! 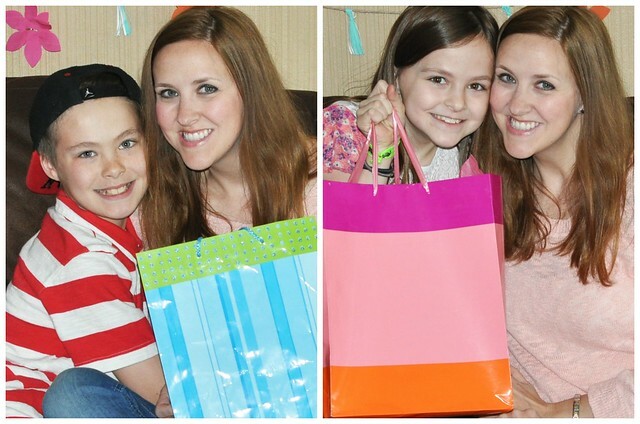 I had a great weekend with my sweet kids! 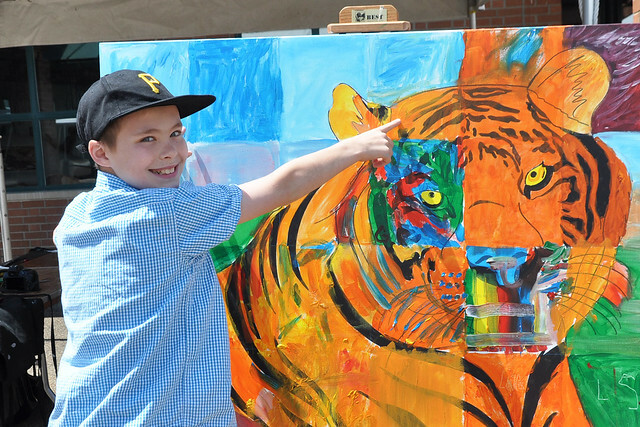 We love our zoo, too! What s fabulous weekend! The horse is so neat! Did she make that in school, too?? Thank you! It was a great weekend! Lexie's teacher went above and beyond this year. She brought home that and flowers in a handmade pot! So sweet! 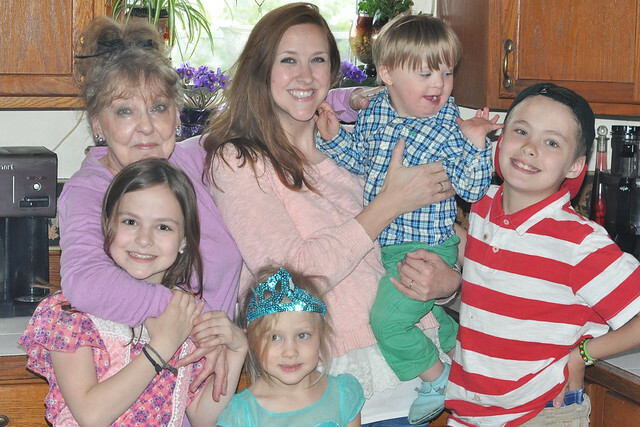 Hope you had a wonderful Mother's day! Thank you! I sure did. I hope you did as well! What a great Mothers Day! Side note, I didn't know that you run?! How fun is that! I don't run as much as I used to, but I still aim for twice a week. It's usually while pushing Liam in the stroller! What a thoughtful gift from Dylan! That is so sweet that he thought to get you something like that! Glad that you had a wonderful weekend! You deserve it, Momma! What a great weekend! Im a huge zoo/aquarium fan too. 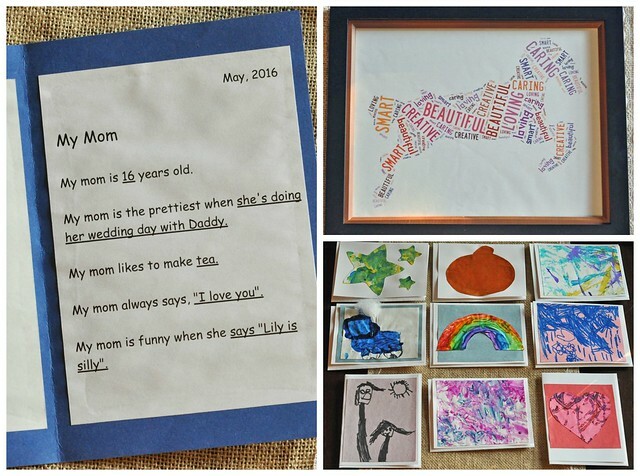 Your kids gave you some amazing gifts, they are so thoughtful! It's definitely one of our favorite places to visit! I really don't need expensive or extravagant gifts. I just want something that they make or something that they put some thought into! They did a great job! Great! .lexie looks so grown up in her long sundress! Is Liams leg ok now then? He's still limping, but he did start walking on it. I'm assuming it was just a sprain! What a fun weekend! That shot of you and all your kids is perfection - a framer for sure! Happy belated Mother's Day! 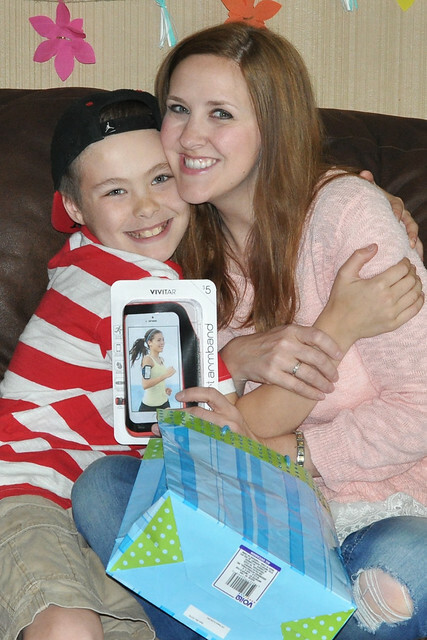 Looks like you had a great mother's day!! Happy for you! And since when does CFA have Kale - I will have to look closer at their menu next time! Love that! 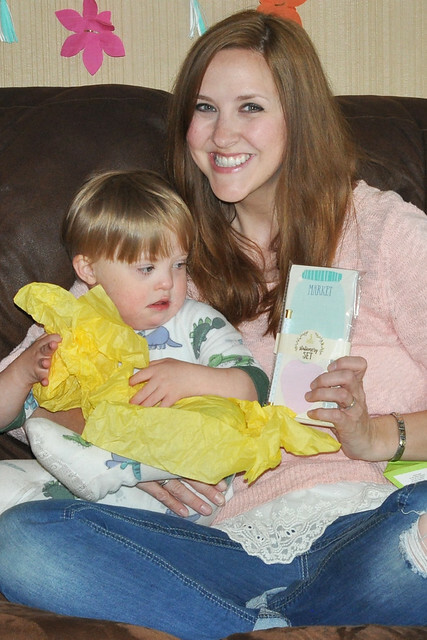 I love the homemade gifts, too and Aaron's this year actually brought me to tears! We were home so I sorta had to cook - Michael grilled and everyone came over - I just roasted veggies in the oven - but then the moms ended up cleaning the kitchen! Got the raw end of that deal! ha ha! Oh how sweet....and Happy waaaaay be-lated Mother's Day. You deserve it! That card from Lily still has me cracking up! My kids usually say I'm 3 or 60. There's no in-between! LOL! I'm happy you had an amazing weekend!